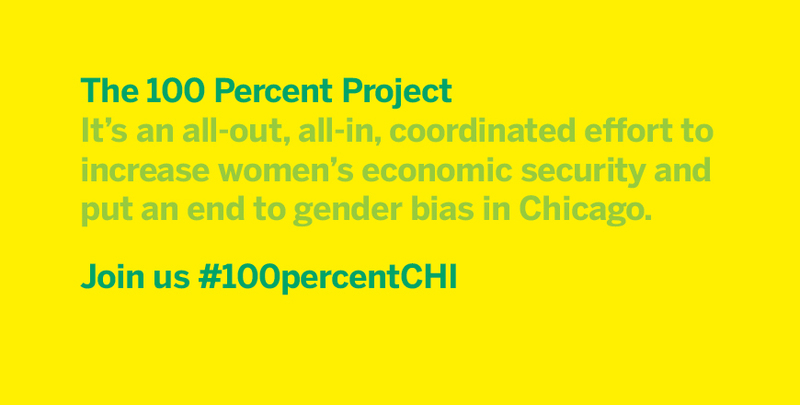 Before The 100% Project became Chicago Foundation for Women’s bold vision to end gender bias, it was a civic plan meant to inspire and mobilize the region to change conditions for women and girls. 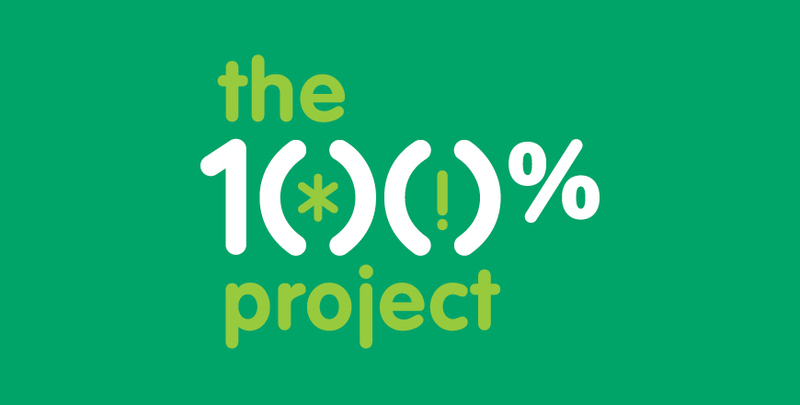 Last year, as that civic plan became The 100% Project, the community that helped spark the idea, has grown into an even larger network of individuals, including middle schoolers, clergy, activists, and civic leaders, who recognize that the wellbeing of our communities, our region, and ourselves, depends on dismantling gender bias. Gender bias affects us all — women and men, girls and boys. It traps us in rigid gender roles that limit opportunities and lead to deep economic inequities for women and girls across the globe and here at home. Gender bias prevents us from working together as equal partners to create communities that work for all of us. Ending gender bias seems to be an insurmountable goal. However, since Chicago Foundation for Women set that goal, and started talking about it, others are identifying the lack of gender equity as a major obstacle to the prosperity of the region. The McKinsey Global Institute estimated that Illinois could increase its GDP by 7 percent, or $60 billion, if the state achieves gender parity in the next decade. Researchers report that while women make up roughly the same percentage as men in terms of labor force participation, they are much more likely to occupy part-time, lower-wage jobs than men in our state. Changing the jobs and industries in which they work and increasing the number of women in supervisory positions will add to the state’s GDP, with a significant impact on the state’s struggling economy. Women and girls have been making significant progress over the past decades. More than half of our state’s 510,000 women workers have college degrees. In fact, the Institute for Women’s Policy Research notes that approximately one-third of women in Illinois have bachelor’s degrees or higher, an increase of about 8 percentage points since 2000. The next step is ensuring that they have access to higher paying jobs and opportunities for promotions. Internally, Chicago Foundation for Women’s Board of Directors worked closely with staff over this past year to support an ambitious strategic plan in line with the organization’s increased leadership on this critical issue. Make strategic investments in research and collaborative efforts that offer innovative approaches to improving the condition of women and girls throughout the region. These are big commitments, and that is why achieving gender equity requires the involvement of everyone. As Chicago Foundation for Women’s new mission statement makes clear: investing in women and girls as catalysts, builds strong communities for all.